Sometimes our car lamps are not enough to see through the fog or the darkness. LED accessories provide optimal visibility in the dark. If the LED accessories not only provide beauty but also are useful, then that would be ideal for any vehicle owner. LED light bars support your car with increasing the range of visibility of genuine car lamps, and also they provide additional tuning. If you’re having an outdoor event at night, a LED bar will give you the perfect lighting conditions. Also if you met with an accident, a high-powered bright bar of lights would be very helpful, without the doubt. These lights can be fitted virtually anywhere in a vehicle as you prefer and can be placed over a range of vehicles including utility service trucks, boats and off-road rides. LEDs have an extremely long lifespan, over 50,000 hours and are very energy efficient. Here we gathered top 6 best LED light bars for your car. Featuring a convenient (36-watt) two-piece design, this Nilight light bar is a recommended flood, spot, and off-road light for everyday use. Even though some individuals find it underpowered, its efficiency makes it one of the best for close quarters lighting. It is also reliable and has a compact 6.5-inch design that you can mount effortlessly on your car, boat, or ATV. Each bar has a 12 high intense LED chips that light cooler and brighter than most halogen bulbs. The radiation scope light generated is safe for driving, while its shockproof sliding brackets ease its installation and removal on most vehicles. This bar is 100% dust-proof, rustproof, and has an IP67-rated design that is water resistant up to one meter. It also has a two-year warranty and a versatile design that is perfect for backyard and garden lighting. With this LED light bar from Nilight, you get two 18-watt off road lights that double as flood and driving lights. Even though compact, their performance is desirable. They illuminate brighter and further than most products in this niche. The clear white light produced is safe for driving, while their compact 4-inch designs install cleanly on SUVs, Jeeps, and even homes. Nilight has quick cooling aluminum heat sinks that dissipate heat better. Bulbs have an impressive 30,000-hour lifespan, while its waterproof and dust-proof design has a wider illumination range that improves vision. Backed by a 2-year warranty, buy this light bulb with confidence. This makes it highly durable, and the best off road LED light bar for on road and off road driving. It is the best LED light bar for those who are looking to upgrade from their halogen headlight. The next one in our review is Lightfox 2Pcs 4Inch 18W Flood Cree LED Light Bar. This item has a 2×18W 4Inch high-intensity CREE LED chips and patented reflector provides super broad viewing area, 60° flood beam can provide super broad viewing area. The heat-skin use aluminum alloy die-casting material with high thermal conductivity, which is much better for heat dissipation than normal light. This product was designed to project light on an extreme distance for ultimate offroad vision, high luminous efficiency, long life, longevity can be as high as 50, 000 hours. It also comes with necessary accessories for easy installation, an adjustable mounting structure can be applied to any cars, different types of trucks, motorcycles, buses, ATVs, SUVs, boats, construction equipment and many off-road vehicles. Nilight LED Light Bar 2PCS 18w 4″ is definitely one of the best products available for sale on the market. Quick cooling aluminum alloy heat sinks and high-quality heat conduction silicone gel can effectively extend the lifespan of the light bar to over 30,000 hours. 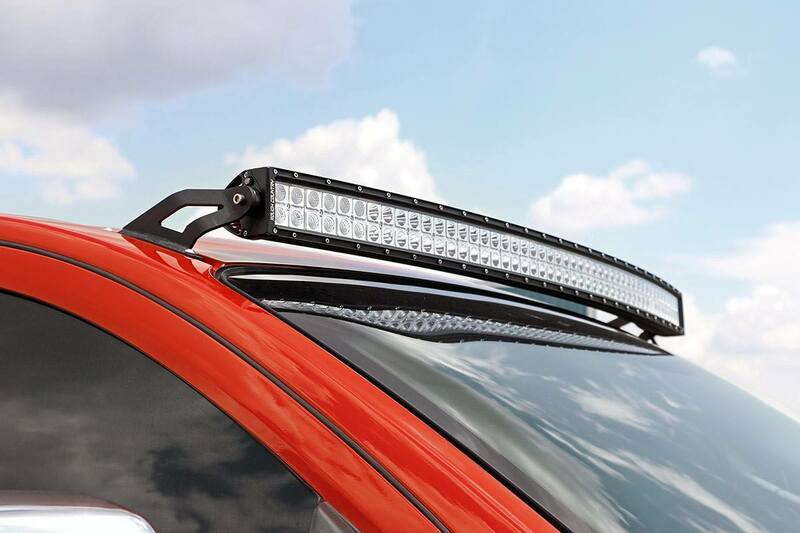 These Nilight LED Light Bars are compact, dustproof, and waterproof up to 1 meter. You can use them indoors or outdoors and attach them to cars, boats, motorcycles or any vehicle for a broader illuminated view while taking up little space. The light bar can be compatible with almost all Jeeps, 4×4, Trucks, Motorcycles, SUVs, ATVs, Cars, Boats, etc. Many indoor and outdoor uses: Garden Lighting, Backyard Lighting, Back-up Light, Off Road Lighting, Construction Lighting and so on. We guarantee you will be satisfied with the price and the product. The best in our review is Auxbeam 2Pcs 4″ CREE LED Work Light Bar. As a leading LED Lighting manufacturer, Auxbeam provides LED lighting solution for off-road, industrial, mining, marine, and agriculture. The Auxbeam is designed for off-road vehicles and trucks primarily due to the wide operating voltage range. The CREE LED Fog Light features a durable 6063 aluminum body to cope with any extreme condition. These lights can work for hours without damaging your car’s battery while saving the gas due to the low current draw. With a voltage operation of 6 to 32 volts, you can rest assured of an exceptional performance when the standard headlights cannot provide adequate lighting to do the job. For those who may be concerned, the Auxbeam is CE & RoHs approved and has a working life of 50,000 hours. We highly recommend buying this superb product. One of most important car accessory for outdoor and off-road enthusiasts are LED light bars. 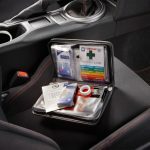 These accessories make driving in rough and dark places safer and enjoyable as it produces enhanced light output, as opposed to the light produced by your car headlights. The LED technology has made a significant impact in the lighting industry with its plethora of benefits. Designed to consume 90% less energy than traditional halogen bulbs, for instance, LED bulbs are efficient everyday accessories. They are not only perfect for indoor and outdoor lighting but also save users significant amounts of money over time. LED bulbs also shine brighter and cooler than their competition and are generally cheaper to maintain in most settings. Finally, now available as light bars, LED bulbs illuminate a broad area, which makes them ideal for camping and outdoor use in general. LED bulbs give off better quality light. They are cheaper and last longer than old-fashioned bulbs with filaments. Whether mounted on the roof or the front hood of a car, seeing the road and being seen on the road at night won’t be a problem anymore. So do not hesitate! Buy a LED light bar today!